"It's not a temporary release, it's freedom. They put her in a car and dropped her off at the house," Sotoudeh's husband Reza Khandan told Reuters from the couple's home in Tehran. "We are all so happy from the depths of our hearts. But we are waiting for the last [political] prisoner to leave prison,"
Sotoudeh was arrested in 2010 and later convicted on charges of spreading propaganda and endangering state security. Her sentence was initially for eleven years, but was subsequently shortened to six on appeal. 50-year old Sotoudeh had defended prominent opposition politicians prior to her detention, as well as taking on numerous human rights cases in the Islamic theocracy. She served her term in Tehran’s Evin Prison, and was designated a prisoner of conscience by leading international advocacy groups. 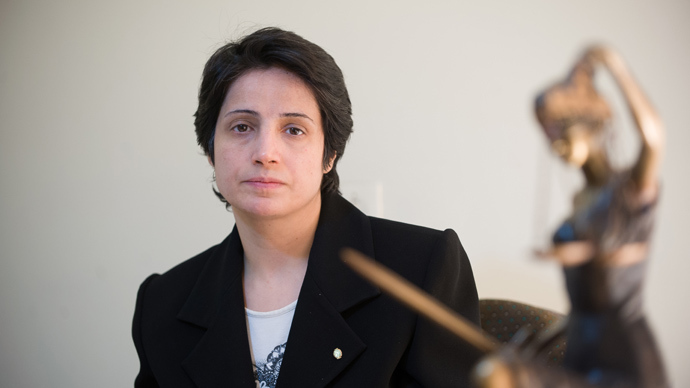 Sotoudeh was awarded the prestigious Sakharov Prize for defending human rights last year. Among other inmates unexpectedly released on Wednesday was former deputy foreign minister Mohsen Aminzade. 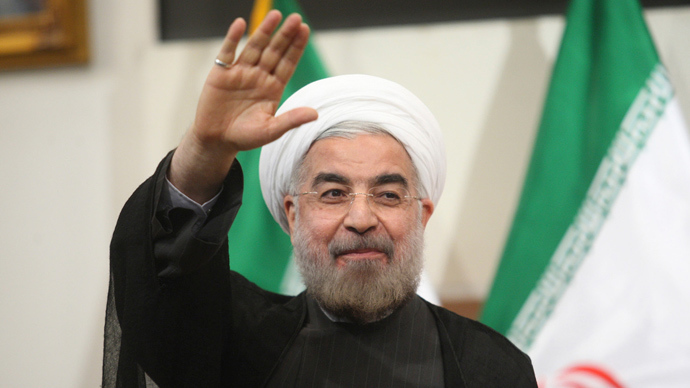 The reformist politician was a key figure in the failed Green Revolution following the presidential elections in 2009, and was jailed in a subsequent crackdown on the same charges as Sotoudeh. But the gesture is also likely timed to coincide with Tehran’s drive to patch up its relations with the West, and troubled issues surrounding Iran’s expanding nuclear program. In recent days Obama and Rouhani have exchanged letters, and the US leader said that his counterpart had “reached out” to him. Iran’s Supreme Leader Ayatollah Ali Khamenei, who has ultimate authority in the country’s affairs, has also called for “heroic leniency” over the issue of nuclear weapons. 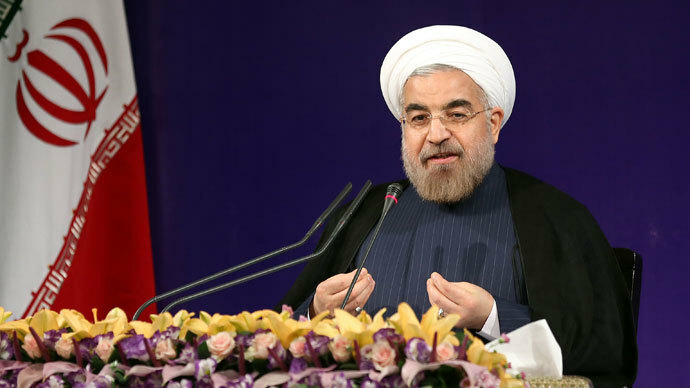 While Iran is unlikely to halt its nuclear program altogether – which it insists is not aimed at producing weapons – it may seek the lifting of international sanctions that have left Iran in isolation, and its economy under pressure. Earlier this week an official Iranian Twitter feed stated that Rouhani will personally speak to UK foreign secretary William Hague during the upcoming UN assembly in New York. On Wednesday, Iranian parliamentary Reza Hodjat-Shamami also told Russian media that Rouhani and Obama may have an “accidental” encounter on the sidelines at the UN. If that were to happen, it would be the first time that a US and Iranian leader have faced each other directly since the Iranian Revolution in 1979. In contrast, Rouhani’s predecessor Mahmoud Ahmadinejad made his international reputation with a series of strident speeches at the UN that were often followed by walk-outs from the US, Israeli and other Western delegations.